Chinese flowers are a recurring theme in Chinese art and poetry. But without understanding the floriography — the meanings associated with certain flowers — the symbolism could go over your head. While some flowers represent seasons or months, others have symbolic meanings based on their Chinese names. Learn the importance of flowers in Chinese culture along with symbolism and taboos associated with some Chinese flowers. 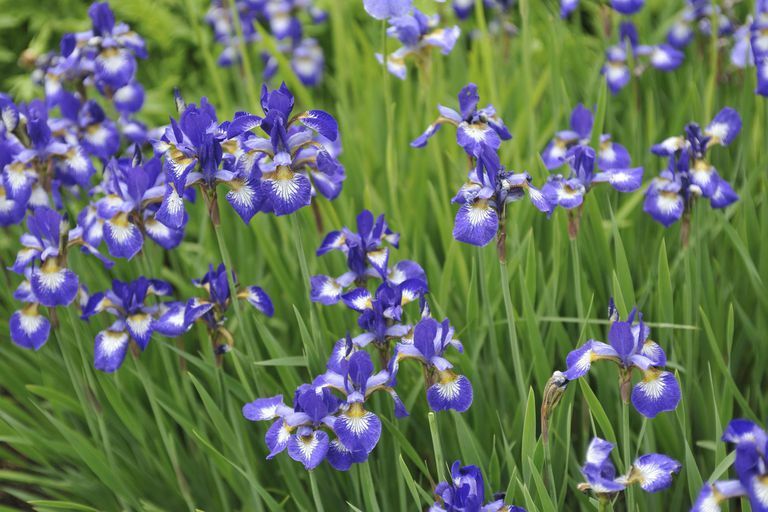 On lunar May 5, Irises are hung over doors to repel evil spirits. The flower is also a symbol of spring, and eating them is said to prolong one's life. Magnolias were once so precious, that only Chinese emperors were allowed to own them. They have also been used in Chinese medicine. Today, magnolias represent beauty. Peonies are the flower of spring, also known as the "queen of flowers." The flowers symbolize fame and wealth. Red peonies are the most desired and valuable, while white peonies symbolize young, witty, beautiful girls. The lotus is a flower that is steeped in Buddhist symbolism and is considered one of the eight precious things in the Buddhist faith. It symbolizes purity and coming out of mire unsullied. The lotus is said to bloom in Beijing on lunar April 8, which is the Buddha’s birthday, and on lunar January 8, which is lotus day. The lotus is known as the gentleman's flower because it grows out from the mud, pure and unstained. It is taboo for a woman to sew in January, as she may have menstrual trouble, according to Chinese culture. Chrysanthemums are one of the most common flowers in China and are symbolic of autumn and of the ninth lunar month. The Chinese word for chrysanthemum is similar to jū, which means "to remain" and jiǔ which means "long time." Therefore, chrysanthemums symbolize duration and long life. The hibiscus is a popular Chinese flower that symbolizes fame, riches, glory, and splendor. The flower also can symbolize the fleeting beauty of fame or personal glory and is given as a gift to both women and men. In Chinese culture, lilies are supposed to bring sons to a family; as a result, they are often given to women on their wedding day or on birthdays. The Chinese word for lily sounds like bǎi hé, which is part of the proverb bǎinián hǎo hé, which means "happy union for one hundred years." The flower is considered a good gift for all occasions and are said to help people forget their troubles. The orchid symbolizes love and beauty and can be a symbol of a married couple. The flower also represents wealth and fortune, and when placed in a vase, orchids symbolize unity. In addition to flowers and plants having their own symbolism, the color of a flower can also give it a special meaning in Chinese culture. For example, pink and red are colors of celebration, good luck, and happiness, while white is the color of death and ghosts. Hibiscus Flower Meaning | Flower Meaning. (n.d.). http://www.flowermeaning.com/hibiscus-flower-meaning/.